Provo City will be doing some improvements at the Provo Municipal Airport to facilitate the expansion of Duncan Aviation. Council reviewed and discussed options for funding the improvements and moved to allocate $2.5 Million through a CDBG Section 108 loan, $189,524 from the Energy Department CIP, and $124,183 from the General Fund. Discussed an ordinance amending Chapter 8.02 (Animal Control Generally) with regards to keeping of swine. Changes were made since the last work meeting to have the limit be 300 feet from the boundary line. Discussed a request from Community Development to amend City Code Sections 15.17.030, 15.17.040, 2.29.040, and 14.02.020 to reduce the notice for public hearing before the Planning Commission for General Plan amendments from 14 to 10 days and to allow amendments to the General Plan more often than twice per year. This will be formally heard at tonight's meeting. Heard a presentation from the Community Housing Trust and their work in Park City. Council has been in the process of considering an urban deer management plan. An open house was held July 12 to present information and allow residents to ask questions and give input. 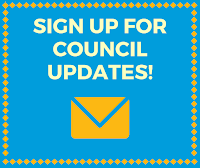 Council also received public input by email, through online comment forms, and at the most recent policy discussion lunch. Representatives from the Division of Wildlife Resources (DWR) gave information about the translocation (trap and relocate) option which greatly depends on the help of volunteers. The lethal option would be contracted out and conducted using bowhunters. Council voted unanimously to appropriate $35,000 and allow City administration to use lethal and non-lethal methods of controlling the deer population. The next step is to submit the final plan to DWR for approval. Heard a presentation by the Covey Center for the production of "Oliver." Heard a presentation to Tony Fieldsted as Provo City Employee of the Month for June. 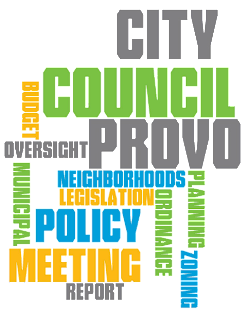 Passed a resolution ratifying a letter of commitment to Duncan Aviation for the installation and construction of certain utilities and infrastructure at the Provo Municipal Airport. 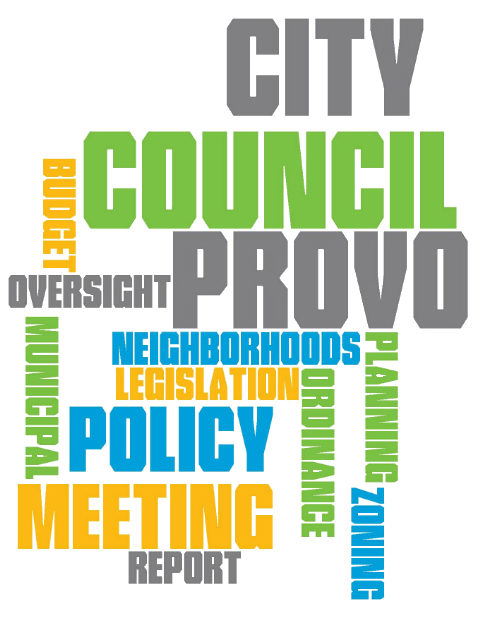 Passed a resolution adopting a sewer system management plan, a system evaluation and capacity assurance plan, and the municipal wastewater planning program self-assessment report for Provo 2015. Passed a resolution authorizing the preparation of a draft Parkway Plaza Redevelopment Community Reinvestment Project Plan Area. This is for the Plumtree Plaza area. Held a public hearing and passed an ordinance changing the notice requirements for certain public hearings before the Planning Commission (to mirror State Code) and allowing amendments to the General Plan more often than twice per year. Passed an ordinance amending Chapter 8.02 (Animal Control Generally) with regards to keeping of swine, requiring that swine be confined within a secure outdoor enclosed area located at least 300 feet from any boundary line.